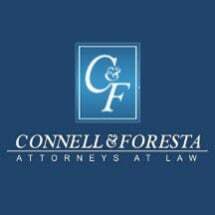 Founded in 1998, the members of Connell & Foresta have represented only injured victims. We have successfully represented thousands of clients in lawsuits and in making claims against insurance companies. Our clients come back to us because of the aggressive approach we take to resolving their claims as well as the personal attention they receive during their case. Our firm is conveniently located at the Riverside Executive Center in Newton, Massachusetts, just outside of Boston. Personal injury cases are handled on a contingency fee basis (no fee unless successful), and workers' compensation attorneys fees are generally paid by the insurance companies. Therefore, you will never have to pay attorneys fees out of your own pocket.